Posted on 17 October, 2018 at 10:34 am. 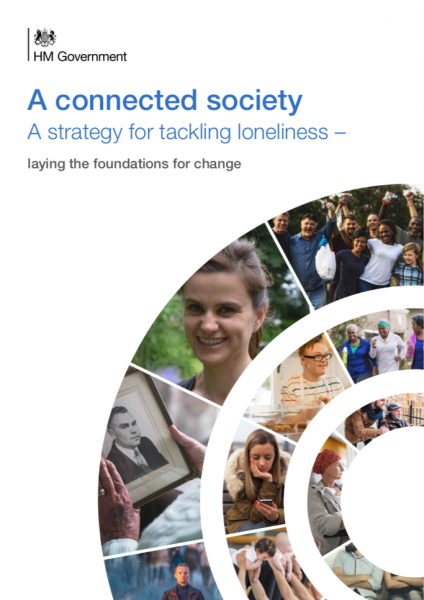 WaveLength welcomes the government’s loneliness strategy. We support the government’s intergenerational and cross-governmental approach to tackling loneliness. It is only through joined up, collaborative thinking between the government, charities, and other organisations that we can offer real change to people who are lonely and at risk of loneliness. We are delighted that the Department for Digital, Culture, Media and Sport will ‘champion technology as a real force for social good’. Though it is great to develop proven, innovative technological solutions, we must not forget the power of simple technology. Our research, carried out by the University of York, has shown that radios, televisions, and tablets help create social connections and meaningful relationships. We need to look beyond training on digital skills to focus on providing the equipment itself. This is fundamental to reducing digital exclusion, especially for older groups of our population and disabled people. WaveLength will continue to ensure that people are not digitally disenfranchised. We call on the government not to push all services online, but to ensure that there are accessible alternatives beyond the digital sphere. The government should give people the choice of interacting with a person, as opposed to just accessing services online. WaveLength was pleased to share our work with the Loneliness Commission, showing that the gift of our technology is a proven solution to combatting loneliness. As Kim Leadbeater, Jo Cox’s sister, said at the strategy launch, we now need to turn this strategy into action. WaveLength looks forward to using our 80 years of experience to offer real change for people around the country. For 80 years, WaveLength has led the way delivering change for lonely and isolated people through the use of digital technology. For people who are lonely, a radio or television can feel like a lifeline.